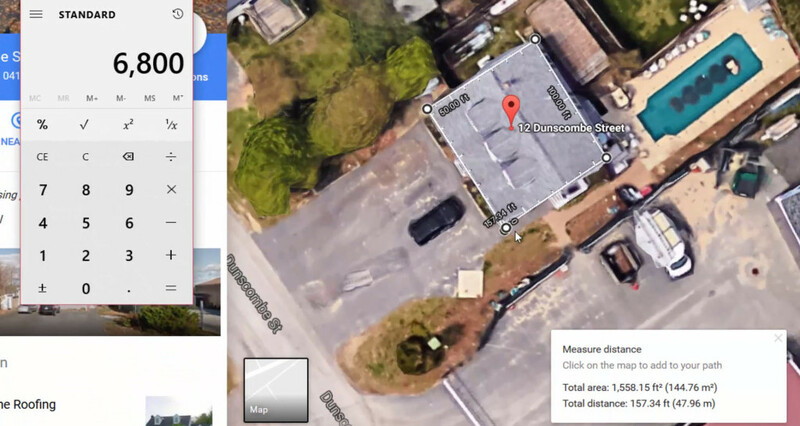 Free Aerial Measurements For Roofing Contractors and using Google Maps to get unlimited roof measurements can help any roofing contractor, and be more efficient. Most roofers feel like they need to go to every estimate and then measure the roof, and most of the time it’s a good idea to go to every estimate, but this free tool will give you the opportunity to do a little homework before you get to the job. Today Ariel roof measurements are considered smart business, let’s face it we live in a technological age and using technology for your roofing business is smart. With all the websites that have data about homes, then be able to do an aerial roof inspection using free tools from Google. Being a roofing contractor in this day and age is a lot easier than going down measuring the house, climbing up on the roof and measuring every valley to come up with a precise and accurate measurement. Contractor OS is the backend that you’ll need for your roofing business, but there’s a lot of free tools that you can use to help you become even better at running your roofing business and being more efficient. Your business expects you to make good decisions, and if you can do measurements without having to climb up onto the roof that is a great decision, and the safety benefits will keep you and your family safe. Thank you very much for your time today and I hope that this video helps you and shows you how to use free tools from Google so you can be a safer roofing contractor.